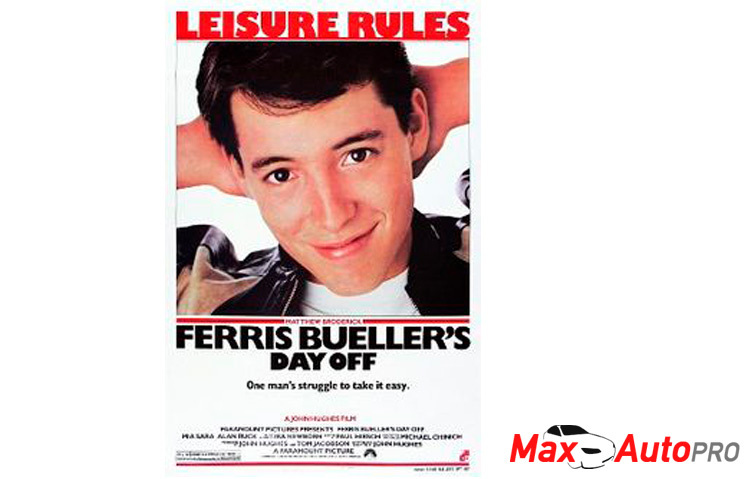 You can’t talk about the 80s classic Ferris Bueller’s Day Off without talking about the beauty of the movie. No, I’m not talking about Sloane. I’m talking about the 1961 Ferrari 250 GT California Spyder! This car had it all! Sporty, sleek and the cherry on top…was it’s cherry red color. And then, in a turn of events that no one saw coming, it met its untimely demise, rolling backwards out of a window and falling a few hundred feet to its death. Oh, man! I remember it like it was yesterday. Some atrocities you just can’t forget. But did you know that it wasn’t really a Ferrari at all? It was a replica built by Neil Glassmoyer and Mark Goyette. The car for the movie was originally going to be a Mercedes. Writer/director John Hughes changed his mind when he saw the Ferrari. Three “replicars” were made for the movie. Only two were used. And of the two cars used, only one actually drove well enough to be in the movie.